The yearly performance review is either a boring formality where you’re checking boxes and signing on dotted lines, or a dreaded hour of what feels like ridicule from a superior. The economic climate of the past 5 or 10 years has lead even good performers to be told “You’ve done a great job, but sorry, we have no money for raises this year.” This creates a system where employees game the system by leaving to get that raise every few years. 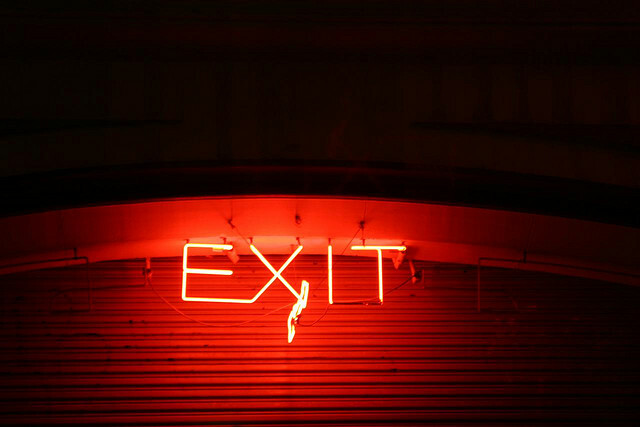 Exit interviews are a place where you discover why your employees are leaving, because either they have not felt free enough to discuss their points of dissatisfaction or because when they did no one listened. Both of these very common activities are a sign of disfunction in the way people are being managed. Exit interviews and performance reviews are a sign that management and decision makers no longer have a pulse on the heartbeat of the company; the contributing tech staff, the people that do the work. Often these two meetings are a sign of management by metrics. Management by metrics when contributors spend part of their time building product, and the other part of their time collecting and sending numbers to managers and managers to managers to review. I’ve been in this situation two and a half (the half is a story for another day) times now. Taiicho Ohno, creator of the Toyota Production System (TPS) and Lean philosophy thought that managers should be on the floor with their workers. In Lean and TPS cultures, that is called the Gemba. The place where the work is happening. When taking an initial tour around a factory, Ohno would draw a circle in the middle of the factory floor and have the manager stay there all day, observing how the work was done. The point of this wasn’t a weird, big brother, type observation. He wanted managers to know what was happening on the floor so that they could facilitate the work and help the workers, and in turn the company, be awesome. Management done in this way significantly reduces the need for the formality of the annual performance review. The managers were at the gemba working directly with the team. They already know what is going on, and should have a pretty good idea about the performance of individual contributors. Exit interviews are a conversation held on the last day of employment where the person leaving spills the beans on everything they are unhappy about. One potential way to avoid this is to reframe the idea into a staying interview where a supervisor meets with her reports regularly. These meetings are commonly called one-on-ones. This doesn’t have to be something that overwhelms peoples schedules, 30 minutes once or twice a month will do the trick. This is a time for the employee to have a candid conversation with their supervisor about what is going well in their current work, what isn’t going so well, and anything that is generally on their mind. For the supervisor, this presents a time to get to know the employee a little better and help them be successful. This style of management also presents a little (reasonable) burden of facilitating positive change when your employee has a reasonable complaint be that about project problems, environment problems, or the dreaded money conversation. If that effort is made, and the employee chooses to leave the company, you already know why they are leaving. The exit interview won’t do you any good. Lets end this on a positive note. There are plenty of companies that value and trust their employees, and plenty of managers that understand their work is to facilitate rather than command and control. Also, you don’t need to go and quit your day job just because they have performance reviews, most companies do those now. It certainly wouldn’t hurt to mention some ways to improve though. "Exit interviews and performance are a sign that management and decision makers no longer have a pulse on the heartbeat of the company; the contributing tech staff, the people that do the work"
I have had a few issues in the past with performance reviews. Sometimes the manager giving the review, had no clue on how your job was done, how long it took to develop projects and what it entailed. I feel for a proper review can only be done by someone who can do your job themselves. Exit interviews on the other hand could shed some light on a companies management. I have not had one In a very long time. I wish I had one a few jobs ago where I left the position due to conflict with the DP manager. I have had many recruiters call and try and place me back and I tell them "No thanks" if that manager is still there. They have told me it's a hard position to fill and the company does not know why.